Siobhan is currently reprising this wonderful role in the Broadway Production at Barrow Street Theatre which trnasferred from the Tooting Arts Club. Siobhan was Olivier nominated as the original Donna in MAMMA MIA, and played The Nurse in MEDEA with Fiona Shaw in London and on Broadway. Her many other starring roles include Evita in EVITA, CHESS and Velma Von Tussle in HAIRSPRAY at e Shaftesbury. 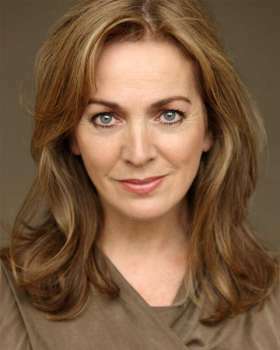 She played the regular role of Roisin Connor in BAD GIRLS on ITV, and her other TV credits include Jane O'Brien in LAW AND ORDER and HOLBY CITY. Siobhan can currently be seen as Mrs Lovett in SWEENEY TODD directed by Bill Buckhurst at Harrington's Pie and Mash Shop, having last played Elizabeth in RICHARD III at Nottingham/York Theatre Royal directed by Loveday Ingram. She most recently played Irene Day in DONEGAL by Frank McGuinness at the Abbey Theatre.